I recently decided to subscribe to Nintendo Switch Online, so I can play the NES games included in the service. 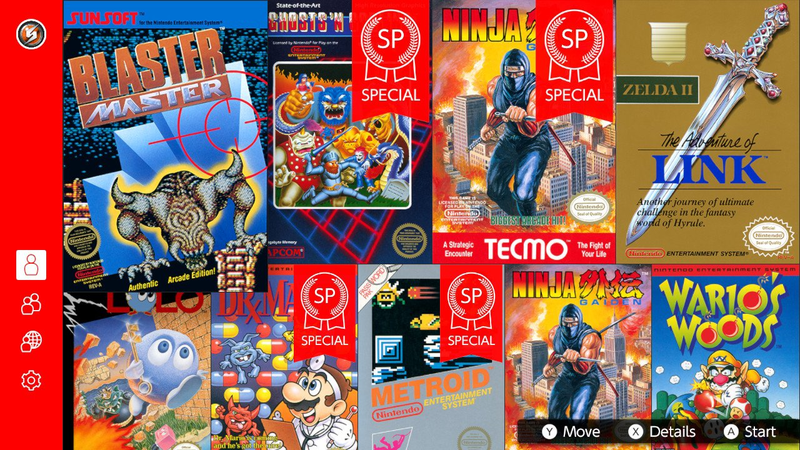 When I launched the NES Nintendo Switch Online app, I noticed that some games were listed twice, such as Metroid, The Legend of Zelda, Ninja Gaiden, and more. The duplicate appears to have a "SP Special" logo on top of the game's cover art. Pictured: Ninja Gaiden and Ninja Gaiden SP. But what exactly does the "SP" do? What's the difference between SP and non-SP? These are "special", modified versions of the games. How they differ from the original, unmodified version depends on the game. To find out what's changed, select the game with X (Details) to see an information window. 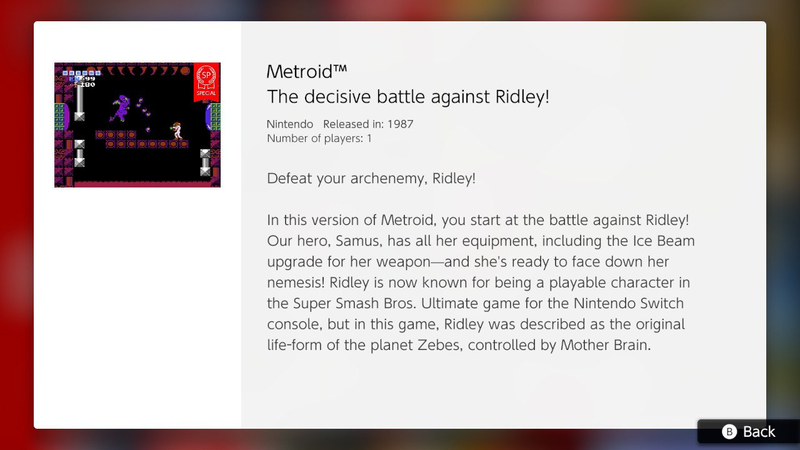 In Metroid SP, for instance, you start at the battle against Ridley with all of your equipment, including the Ice Beam weapon. Does the Japanese version of Disgaea 5 have the DLC bonuses? What does the Flipped Input option do in Cave Story+? Does the Nintendo Switch count my playtime while a game is running in sleep mode? Does Rocket League on Switch have control issues? Does the Nintendo Switch USA charger work with 220V power?